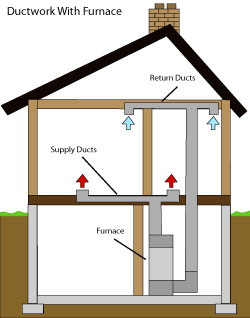 Keep your ducts working properly with professional inspection and maintenance. Dr. Energy Saver Solutions, A Service of DBS seals air ducts for maximized energy efficiency, as part of a program designed to save you up to 40 percent on your heating and cooling bills. 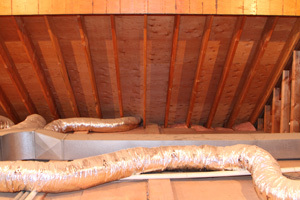 We'll inspect your ductwork as part of our Free Ductwork Estimates. We service Saginaw, Grand Rapids, Esko, Two Harbors, Nisswa, Duluth, Superior in Minnesota & Wisconsin. Contact us today to schedule your free estimate for ductwork sealing in Two Harbors, Nisswa, Saginaw, Duluth, Esko, Superior, Grand Rapids, International Falls, Cloquet, South Range, Carlton, Bovey, Cohasset, Moose Lake, Hibbing, Ashland, and more! We are an expert energy company and insulation contractor serving the Greater Duluth, MN and Superior, WI Area area. Get improved comfort & air quality for less with healthy ductwork! For a free duct sealing estimate to assess your home's ductwork energy efficiency and to see if air duct sealing will work for you, call or contact us online. 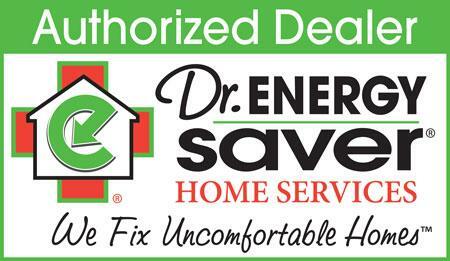 Dr. Energy Saver Solutions, A Service of DBS helps homeowners save energy with home insulation installation, air sealing, and our home energy audit! We install spray foam insulation, cellulose, radiant barrier, rigid foam and more. We service Minnesota & Wisconsin including Saginaw, Grand Rapids, Esko, Two Harbors, Nisswa, Duluth, Superior, Aurora, Virginia, Silver Bay, Washburn, Aitkin, Britt, Spooner, Hayward, Pequot Lakes, and more. Call 1-855-580-2907 or contact us online to schedule a free home inspection and heating and cooling estimate.